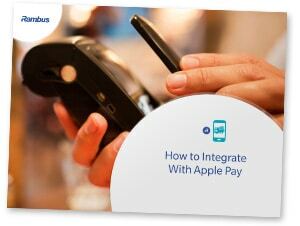 ‘How to Integrate with Apple Pay’ examines the technologies and capabilities a bank must have in place before it can connect to Apple Pay, including tokenization, trusted service management and a token service provider. It succinctly explains each term, and the part it plays. The guide then examines the two approaches most commonly taken by banks: outsourcing integration and management to a payment scheme or sourcing the necessary functionality by partnering with a recognised vendor. Outsourcing to the payment schemes is a good way to get to market quickly, says the guide, but there can be complex and repetitive integration work and higher long term costs. In contrast, partnering with a vendor may allow for long-term savings, bespoke security and flexibility in terms of features, project scope and contractual terms. The guide concludes with a simple chart that shows positive, neutral and negative attributes for key dimensions of each approach, so that readers can quickly ascertain which option will best meet their needs. This guide has been produced and sponsored by Rambus and approved by the NFC World editorial team. This 10-page document is available free of charge to NFC World Knowledge Centre members (PDF format, 7.4MB).